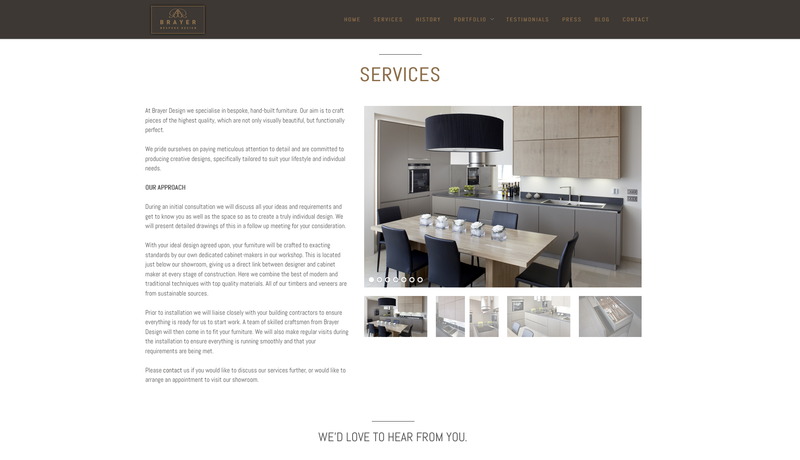 After the designs for the rebrand were finalised, Collective Digital stepped in to create a website that was visually consistent with the classic styling. 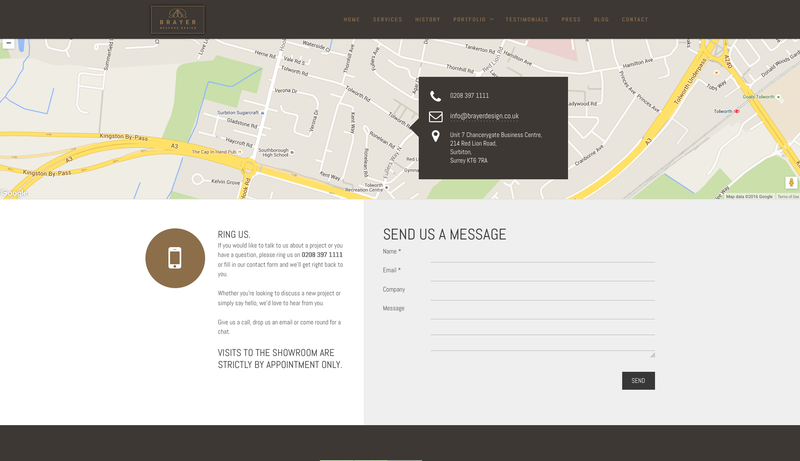 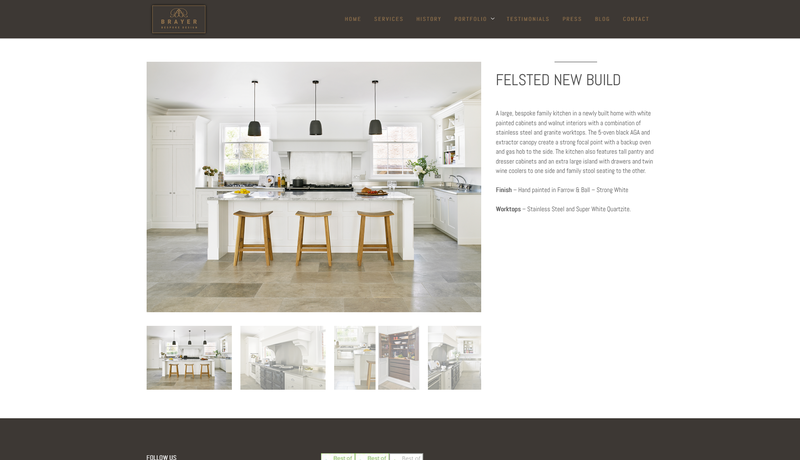 The structure and layout of this website worked well and so the major changes were to the branding elements and copy, which was edited to give more prominence to the images. 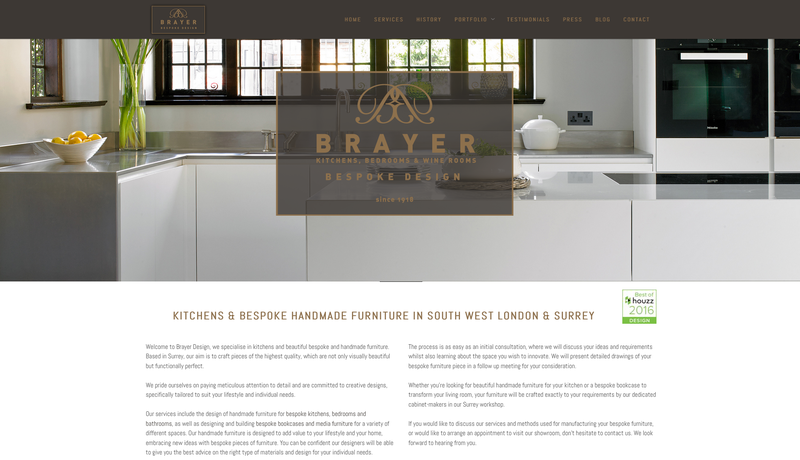 Following the rebrand and redesign of their website, Brayer asked us to manage their digital marketing efforts on an on-going basis. 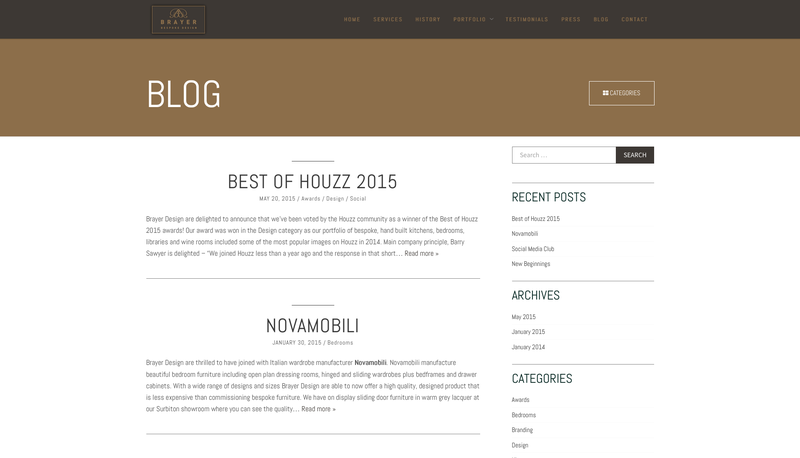 They have recently been awarded Best in Design and Service by Houzz for 2016.